These findings are described in the article entitled An investigation of relationships between disordered eating behaviors, weight/shape overvaluation and mood in the general population, recently published in the journal Appetite (Appetite 129 (2018) 19-24). This work was conducted by Felipe Q da Luz from The University of Sydney and the CAPES Foundation, Ministry of Education of Brazil, Amanda Sainsbury and Stephen Touyz from the University of Sydney, Haider Mannan, Federico Girosi, and Phillipa Hayand from Western Sydney University, and Deborah Mitchison from Macquarie University. People with anorexia nervosa, bulimia nervosa, binge eating disorder or other specified eating disorders can experience several medical problems [1-6] and poor mental health [5, 7, 8]. 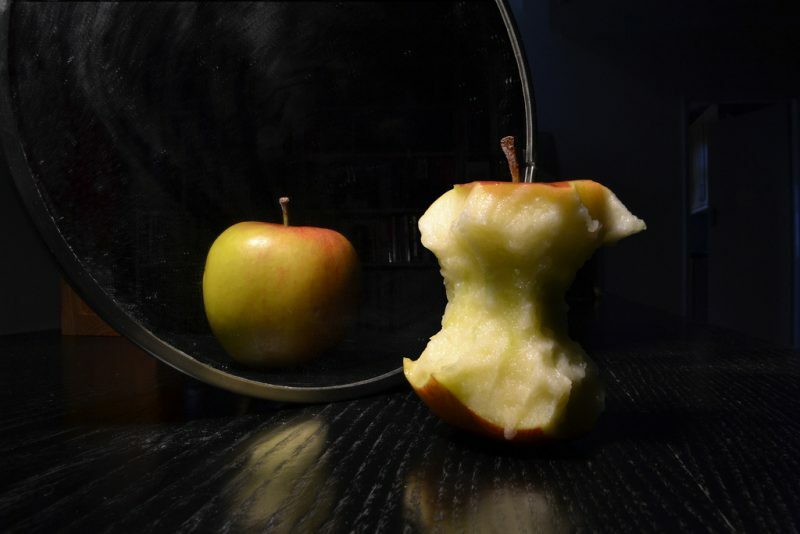 Additionally, people with eating disorders commonly engage in dysfunctional cognitions and maladaptive behaviors that maintain their disordered eating cycle. Previous studies found relationships between specific underlying psychological mechanisms that sustain all eating disorders, namely overvaluation of weight/shape and the control over them, strict dieting, binge eating, and compensatory behaviors (i.e., self-induced vomiting, misuse of laxatives/diuretics, excessive exercise) . While these psychological mechanisms have been thoroughly examined in samples of people with [10, 11] or without [12-14] clinically diagnosed eating disorders, their associations with eating disorder behaviors in the general community had not been investigated. Such examinations are important in order to assess whether specific cognitions and behaviors impose risks not only for individuals with clinical eating disorders but also for disordered eating in the general population. In an article published in Appetite, researchers from the University of Sydney, Western Sydney University, and Macquarie University examined relationships between eating disorder behaviors, cognitions, mood, and body mass index (BMI) in the general population of Australia. Dr. Felipe da Luz and colleagues assessed a community-representative sample of 6052 older adolescents and adults in South Australia. In this community sample, the authors did not find relationships between the overvaluation of weight and/or shape and their control with other eating disorder behaviors, or with BMI. However, the study found significant associations between strict dieting and binge eating, as well as between low mood and binge eating, and between purging and binge eating in the Australian community sample. These findings suggest that strict dieting, low mood, or purging can be risk factors for binge eating in the general population, similar to that seen in people with clinical eating disorders. Nonetheless, the researchers noted that the occurrence of binge eating may also be influenced by other factors, such as genetic predisposition and psychosocial triggers , and dieting with or without clinical supervision. The research team also found that in the general community, people with higher BMIs were more likely to engage in strict dieting in comparison to people with lower BMIs. This finding contrasts with the assumption that strict dieting occurs mainly in people with eating disorders such as anorexia nervosa and suggests that in the general population people with overweight or obesity are most likely to engage in inefficient and unhealthy strict dieting attempts in order to lose weight. Overall, the study shows that public health obesity prevention and treatment programs may benefit from integration with interventions that promote awareness of healthy eating behaviors and emotional well-being in order to avoid triggering eating disorders in susceptible individuals. This work was supported by the University of Sydney, Western Sydney University, Macquarie University, the National Health and Medical Research Council (NHMRC) of Australia, and the CAPES Foundation (Ministry of Education of Brazil). Hermont, A.P., et al., Eating disorder risk behavior and dental implications among adolescents. International Journal of Eating Disorders, 2013. 46(7): p. 677-683. Kisely, S., et al., Association between poor oral health and eating disorders: systematic review and meta-analysis. British Journal of Psychiatry, 2015. 207(4): p. 299-305. Linna, M.S., et al., Reproductive health outcomes in eating disorders. The International Journal Of Eating Disorders, 2013. 46(8): p. 826-833. Donaldson, A.A. and C.M. Gordon, Skeletal complications of eating disorders. Metabolism, 2015. 64(9): p. 943-951. Winkler, L.A.-D., et al., Quality of life in eating disorders: A meta-analysis. Psychiatry Research, 2014. 219(1): p. 1-9. Tavolacci, M.P., et al., Eating Disorders and Associated Health Risks Among University Students. Journal of Nutrition Education and Behavior, 2015. 47(5): p. 412-412. Araujo, D.M., G.F. Santos, and A.E. Nardi, Binge eating disorder and depression: a systematic review. World J Biol Psychiatry, 2010. 11(2 Pt 2): p. 199-207. Fichter, M.M. and N. Quadflieg, Mortality in eating disorders – results of a large prospective clinical longitudinal study: Morality In Eating Disorders. International Journal of Eating Disorders, 2016. 49(4): p. 391-401. Fairburn, C., Cognitive behavior therapy and eating disorders. 2008, New York: Guilford. Lampard, A.M., et al., An evaluation of the enhanced cognitive-behavioural model of bulimia nervosa. Behaviour Research and Therapy, 2011. 49(9): p. 529-535. Lampard, A.M., et al., An Evaluation of the Transdiagnostic Cognitive-behavioural Model of Eating Disorders. European Eating Disorders Review, 2013. 21(2): p. 99-107. Hoiles, K.J., S.J. Egan, and R.T. Kane, The validity of the transdiagnostic cognitive behavioural model of eating disorders in predicting dietary restraint. Eating Behaviors, 2012. 13(2): p. 123-126. Dakanalis, A., et al., Comprehensive examination of the trans-diagnostic cognitive behavioral model of eating disorders in males. Eating Behaviors, 2014. 15(1): p. 63-67. Schnitzler, C.E., K.M. von Ranson, and L.M. Wallace, Adding thin-ideal internalization and impulsiveness to the cognitive–behavioral model of bulimic symptoms. Eating Behaviors, 2012. 13(3): p. 219-225. Hsu, L.K., Can dieting cause an eating disorder? Psychol Med, 1997. 27(3): p. 509-13. Felipe is a research scientist at the University of Sydney, Boden Institute of Obesity, Nutrition, Exercise & Eating Disorders.